The What: NanoLumens is now shipping what the company hails as the world’s first 100-percent front-installable and front-serviceable 1.25mm pixel-pitch LED display, featuring new “touch-free” technology that was developed specifically for a United States military command and control center. The What Else: The new NanoLumens 1.25mm pixel-pitch display features precise alignment technology and an updated system layout that supports an exact 1920-RBG-pixel-wide by 1080-RGB-pixel-tall, final display of any resolution in 384x360 increments. The display allows for “direct-to-wall mounting” at a depth of less than 4 inches and comes with a decorative back for optional hanging applications. Easily front serviceable thanks to NanoLumens’ patented magnetic Nixel attachment methods and perpendicular removal, the display also incorporates NanoLumens’ new patent-pending NanoZ technology that assures exact alignment in the Z axis for all Nixels. In addition, the display boasts the industry’s highest advertised brightness of 950 cd/m2, according to the company, and features power supplies that are 100-percent embedded from the line input, meaning there are no external power supplies, no added conversion loss, and no additional fans. 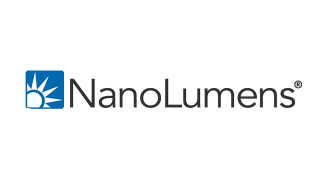 Designed, assembled, and supported in the United States, the new NanoLumens 1.25mm display is now available for customers. The Bottom Line: Designed to be easily installed in any display environment without requiring changes to an existing location or infrastructure, the first NanoLumens 1.25mm NanoZ pixel pitch LED display solution has been sold and shipped to a United States military command and control center.